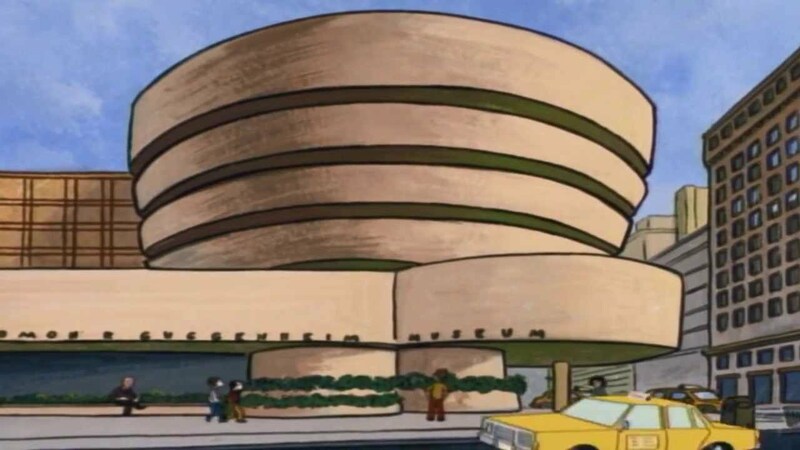 The east coast is the setting of plenty of animated cartoons, thanks to the prominence of Boston, Philadelphia, and New York City. So, on the heels of my Midwestern animated cartoons post, here’s one about the Northeastern United States. The US Census Bureau defines the Northeast to include: New Jersey, New York, Pennsylvania, Connecticut, Maine, Massachusetts, New Hampshire, Rhode Island, and Vermont. “Aqua Teen Hunger Force” is set in southern New Jersey. One episode has Master Shake try to make a (supposedly) psychic Meatwad give the winning New Jersey lottery numbers. Super Chicken of “George of the Jungle” lives in Pittsburgh. “Liberty’s Kids” had episodes scattered across the colonial United States. However, Philadelphia (the home of Ben Franklin and his print shop) was a heavy focus. The 2013 animated movie “Epic” may take place in Connecticut, according to TV Tropes (there or New York). The 1999 movie “The Iron Giant” is set in a small town in Maine. Boston’s mentioned in the final episode of “Underdog.” The evil mad scientist Simon Bar Sinister sends one of the show’s villains (“Batty-man”) to Boston as part of a nationwide series of robberies. Various shows have had episodes set in Massachusetts’ distant past. They’re usually about either the first Thanksgiving, the American Revolution, or the Salem witch trials. “Family Guy” is set in the fictional Rhode Island town of Quahog.